All Honda Fluids at Factory List Price! Plus tax and hazardous waste fee. Valid only at Norm Reeves Honda Superstore Irvine Auto Center 16 Auto Center, Drive Irvine, CA 92618. Must present coupon at time of purchase. May not be combined with other coupons, discounts, or specials. Prior sales excluded. Offer valid at parts retail counter only. See dealer for details. Expires 4/30/19. All Honda Parts in the store from 4pm to close Monday-Saturday! Excludes tires, Honda accessories, and display items in store. Valid at Norm Reeves Honda Superstore Irvine Auto Center, 16 Auto Center Drive Irvine, CA 92618. May not be combined with other coupons, discounts, or specials. Must present coupon at time of purchase. Prior sales excluded. Offer valid at parts retail counter only. See dealer for details. Expires 4/30/19. Best Tires at the Best Price! All Makes at Employee Prices! See parts counter for details. 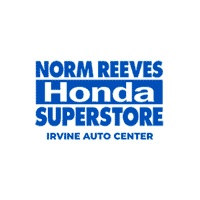 Valid at Norm Reeves Honda Superstore Irvine Auto Center 16 Auto Center, Drive Irvine, CA 92618. Limit 1 coupon per transaction. Must present coupon at time of purchase. May not be combined with other discounts or offers. Prior sales excluded. See dealer for details. Expires 4/30/19.